Consider God’s influence on people’s lives. Consider his influence on YOUR life. Imagine him as a great coach, teacher, or parent. He knows what you’re capable of. He knows what is still uncovered or undeveloped within you. He knows how to coach that potential to excellence and success. What coach, teacher, or parent wants his capable child or player to aspire to something minimal? 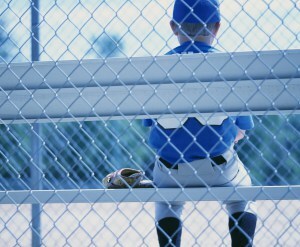 What kind of coach of a gifted athlete says, “Well kid, I’m dreaming big for you. I hope you can get off the bench for at least ten minutes during this season.”?